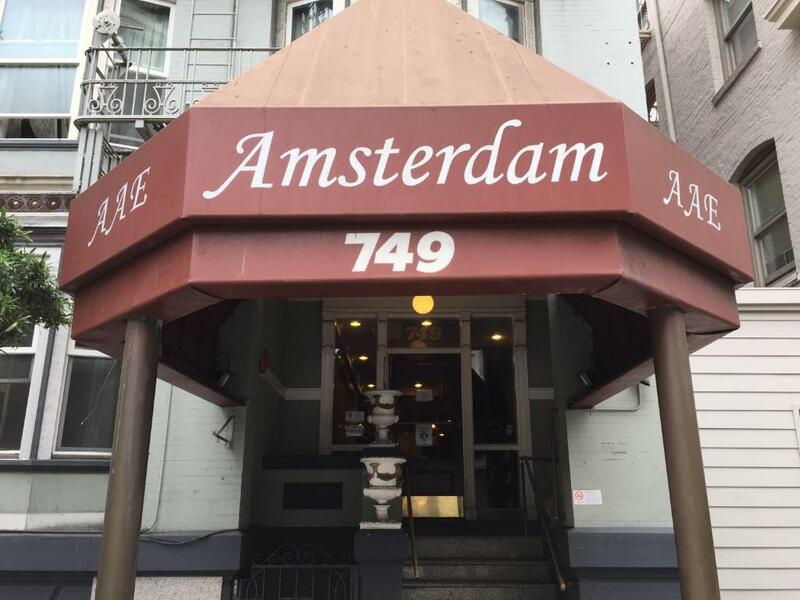 Conveniently located just 8 minutes' walk from San Francisco's fashionable Union Square Amsterdam Hostel places guests in Central San Francisco. Chinatown is 13 minutes' walk away while entertainment venue The Masonic is just 5 minutes' walk away.Enjoy a fun and exciting vacation in the city with organised visits walks and other group activities available at the Amsterdam Hostel.For breakfast guests of Amsterdam Hostel are offered an American pancake breakfast with coffee tea and juices.After a day exploring the city relax and watch a free film in the Amsterdam's own theatre or experience the area's vibrant nightlife with one of the numerous hostel-planned outings. San Francisco's Haight Ashbury District is 4.8 km away from this hostel. The iconic Fillmore music venue is 2 km away.